West Torrens Birkalla is proud to announce a number of exciting additions to the list of Club Sponsors for 2017. 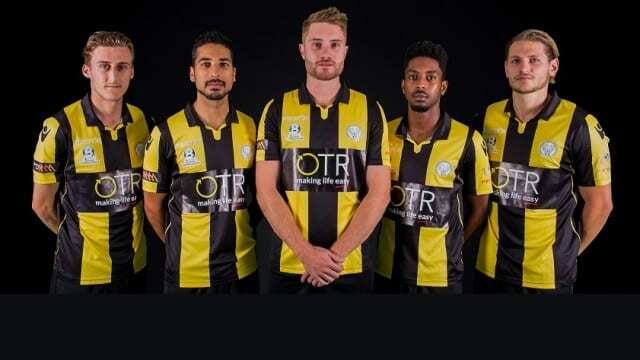 OTR “On the Run’ have joined West Torrens Birkalla as a new Gold sponsor and will appear on the front of shirt of the Senior Strip. Additionally, OTR’s associated business in Brumby’s Bakery will be incorporated. In return OTR will offer savings to all Birkalla families in the way of discounts in store & with fuel, simply through an app that they have created. Davidson Earth Movers have also joined West Torrens Birkalla and will appear on the front of shirt of the Junior strip. Davidson Earth Movers offer multiple services in the building industry. Veolia Environmental Services, which offers support in the commercial, residential, mining and gas industry have come on board and will appear on the back of shirt of all Senior tops. Urbantech Group have joined us for 2017 and will not only suggest better financial structure, but will offer you a plan to do so; they will appear on the shorts of all Juniors. Harrisons Kitchens, who design kitchens for residential and commercial properties, will have their logo on the sleeves of all Junior kits. Finally, Henson Lloyd have joined the Club, for all accountancy & financial needs. I must say that all new sponsors are a huge addition and asset to the Club and I look forward to further build the relationships year on year. Once again West Torrens Birkalla Soccer Club thanks you, friends, families and spectators for your support. To all in the Birkalla Community, I say please think about the people that support the Club & they will support you.